No Tortillas were harmed in the making of this soup! This raw vegan recipe mocks the flavor of traditional Mexican Tortilla Soup, but contains no fatty tortilla strips and, since this is a vegan broth, the chickens will live to see another day. This soup is a family favorite for two reasons; for it’s delicious flavor and for its quick and easy preparation. A big Hello to the CorePower Wellness Cleansers! Meredith Gnau leads the Wellness Cleanses for CorePower Yoga in San Diego and routinely brings me in to speak to her classes about the power and benefits of raw foods and superfoods. She consistently attracts an inquisitive, passionate group of health seekers that really dive into what raw food has to offer. This soup was part of the class demo and am posting it here to share with them. Blend all ingredients except the toppings in the Vita-Mix until creamy smooth. You can blend this soup until it is warmed by the speed of the blender or you can transfer the soup to a pan and stir it until it is warm. Your choice. To keep the soup “raw”, be sure not to let the temperature feel any hotter than a comfortable jacuzzi! If you like this recipe, you might enjoy a full two week raw food program with shopping lists, menu plans and video cooking lessons for every meal. By the time you are done with this course you will have the skills to get creative with making your own raw food creations. 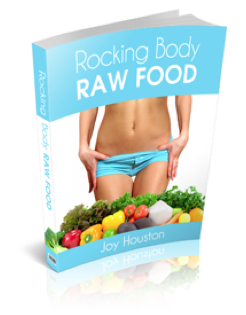 Learn more about the Rocking Body Raw Food Challenge. I am assuming food blender seeing it is RAW there would be no cooking? Thanks! Look forward to a response. Thanks Joy! Looks like I needed another cup of “healhty latte” the morning I shared this recipe with you guys. I went in and adjusted it to explain that you simply give it a whirl in the Vita-Mix until it is warm and enjoy it. What if you dont have a vita mix!?? 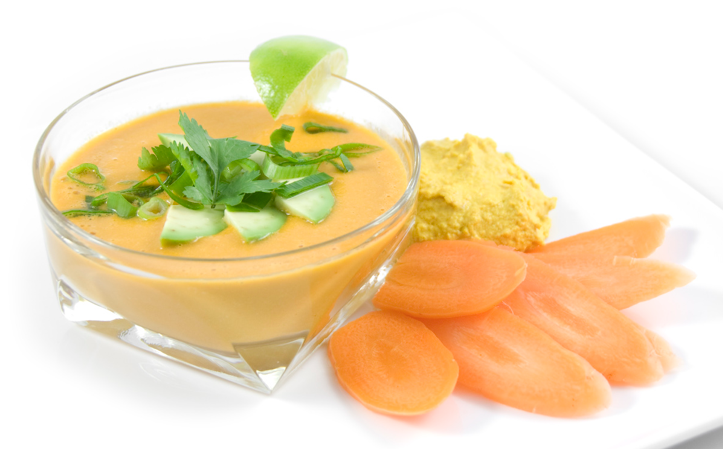 Without a high speed blender, the soup won’t get warm and maybe not quite as smooth and creamy. But the flavor will be great and the consistency may be a little more like creamed corn- so still a nice hearty soup. You will need to transfer it to a pot and warm it.